That’s the view of media and communications agency, Starcom, which has released its latest research findings around the impact of the debut of Prime Day in Australia on consumer uptake and brand engagement. Today’s insights are part of a longer-term research project spearheaded by Starcom into Amazon’s local ecommerce offering and its success and impact on the wider Australian retail market. Amazon was hoping for big things from its first flash day sale, which kicked off on 24 July. But it was immediately assailed by technical glitches, crashing the website at the beginning of the event and resulting in the Twitter hashtag, #primedayfail. Despite this, various reports at the time suggested spending jumped 89 per cent in the first 12 hours of the 36-hour global event, compared to the same period in 2017. While Prime Day created excitement locally, the pared back version of membership has left an ‘expectation’ gap among consumers, which is slowing uptake and growth locally, Starcom reported. There were some big results – social media conversations about Amazon and Prime surged by 190 per cent on 16-17 July compared to the two days prior, and visits to the Amazon Australia and US sites increased by 68 per cent to 3.2 million. Visits to the Prime pages also lifted 324 per cent and sign-ups to the 30-day free trial surged by 377 per cent. Yet the impact was short-lived, with consumer visits to Prime pages and Amazon.com.au falling back to pre-Prime Day level, where they have stayed, Starcom stated. “Our research has found that Australians are increasingly positive towards Amazon, are thinking differently about Amazon and visit the site with a shopping mission in mind. It is the online shopping experience, however, and the reduced Prime Australia offering, that are holding back Amazon’s growth here,” Starcom research director, Nicole Conroy. Notably, the local experience is missing key US elements such as Prime Music, Prime Photo, the number of items eligible for free delivery, Amazon Key in-home and in-care delivery, and family discounts, Conroy said. “This creates an ‘expectation gap’, which deters the majority of Australians from joining Prime, despite the low price. However, for those that have joined, the change in shopping behaviour is immediate. Starcom’s research is based on online behavioural and search data, social media conversations and bespoke consumer surveys. 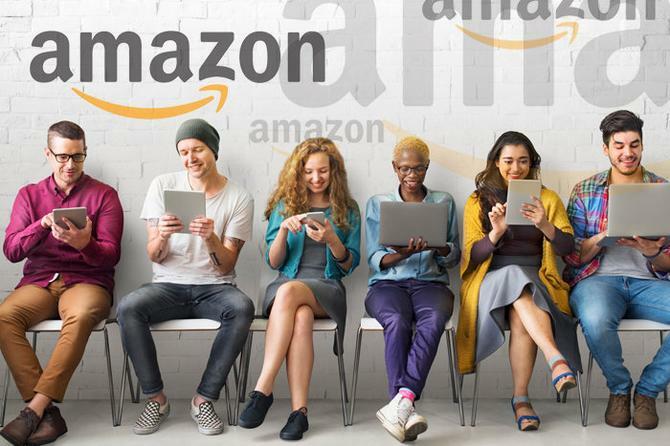 In an extensive research launch in June, entitled ‘The Amazon Effect’, the agency found Amazon’s launch in Australia had lifted local online retail sales overall by 9.1 per cent, generating more sales across a wider array of local ecommerce and brand websites. The research combined Australian and US consumer survey data with insights from the M+ data platform maintained by Mindshare’s parent company, GroupM, Mindshare’s Mindreader tool, and Nielsen third-party retail data and was done in conjunction with Kantar. There are positives to be had for Amazon from the latest Starcom data too. For example, 88 per cent of social media mentions about Prime were positive in June and July, and positive social sentiment towards the online giant increase from 62 per cent prior to Prime’s launch, to 72 per cent post Prime Day. More broadly, Starcom noted Hitwise data showed conversions on Amazon.com.au averaged at 7.77 per cent prior to Prime Data, placing it ahead of other online retailers in Australia. Amazon launched its local online offering in December. Overall, Starcom said it was gaining momentum by June, narrowing the expectation gaps around product pricing, range and delivery costs that had initially been plaguing growth. But for Conroy, it’s going to take a US-style Prime offer to really drive uptake locally. And by doing so, “Amazon will accelerate growth to a degree that significantly impacts Australian retail,” she added.